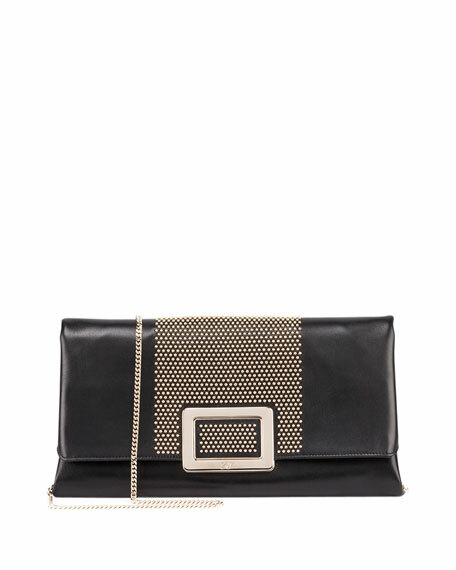 Roger Vivier smooth calfskin clutch. Edgy studded detail at center. Flap top with signature logo buckle. For in-store inquiries, use sku #1724356.